The new route will offer the only direct flight from Dublin to the ‘Lone Star’ state. 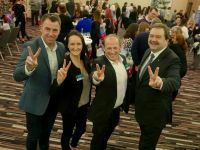 The Taste of America 2019 roadshow concludes in Cork on the 21st February in the Imperial Hotel. 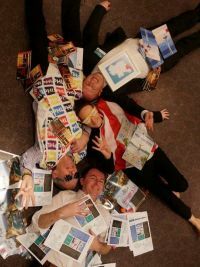 Don’t miss the opportunity to meet, greet and support Aer Lingus trade partners from all over the USA at the road show of the year. 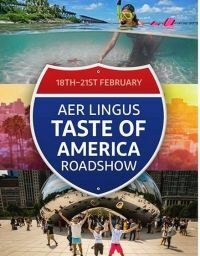 Radisson Blu Golden Lane at 6pm the doors will open for the second sitting of the Aer Lingus Taste of America Roadshow. 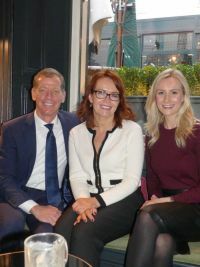 Belfast’s Titanic Hotel is the venue on February the 18th for the 2019 launch of the Taste of America Roadshow. 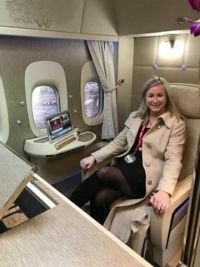 Emirates unveiled a real Game Changer with their newly upgraded Boeing 777 interior in all cabins at Dublin airport. 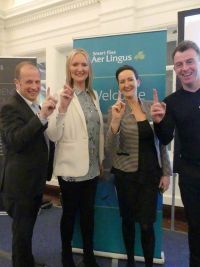 The trade turned out in great numbers for the launch of the new look Aer Lingus branding and logo yesterday in Dublin Airport. 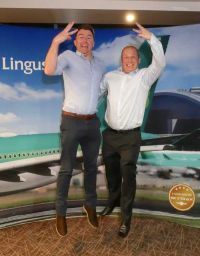 Hanger 6 at Dublin Airport was the location for the launch of the all new Aer Lingus brand and logo yesterday and it looks superb. Qatar increase to 11 flights a week from Dublin. Qatar Airways will increase their frequency in Summer 2019 to 11 flights weekly out of Dublin.